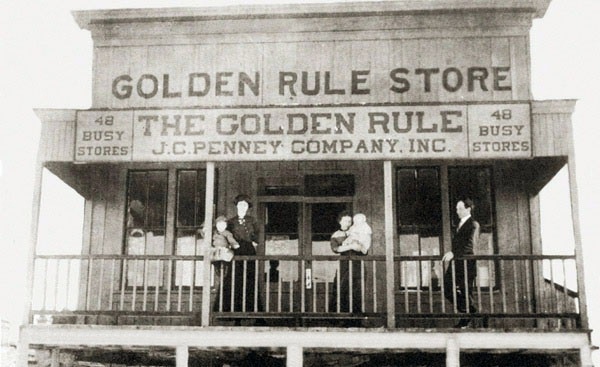 Penney's first stores did not bear his name but were called The Golden Rule stores. He bought his first in the small mining community of Kemmerer, Wyoming, in 1902. There he competed for customers with 21 saloons. In the midst of the Great Depression, one of America's leading businessmen sank into a personal depression of his own. Now in his fifties, James Cash Penney had already built an empire of dry goods stores, dedicated to following the Golden Rule as a basic commercial principle. But when the economy caved in during the 1930s, Penney lost nearly everything--including his health. His parents had instilled in him a basic Christian faith that had given him the principles on which he had based his life and his business, yet now that faith was being tested. "I was at the end of my rope," he said later. "My business had crumbled, my communications with colleagues had faltered, and even my . . . wife and our children were estranged from me. It was all my fault." He was even contemplating suicide. An old friend convinced him to enter a sanitarium in Battle Creek, Michigan. The rest and medical attention did him good, but there was another event that restored him spiritually. One morning he awoke too early for breakfast and was wandering the corridors when he heard a hymn he remembered from childhood. 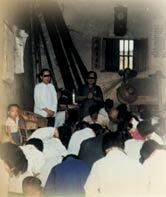 Following the sound, he stumbled upon a chapel filled with worshiping doctors and nurses. Someone read a Scripture passage: "Come unto me all you that are heavy laden, and I will give you rest." It was a moment of clarity for the hard-working entrepreneur. He had been striving all his life to honor God with his business, but now it was time to rest in the Lord's grace. "At that time something happened to me which I cannot explain," he said later. "It was a life-changing miracle, and I've been a different person ever since. 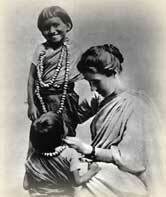 I saw God in his glory and planned to be baptized and to join a church." Over the next twelve hours, he experienced a kind of conversion. 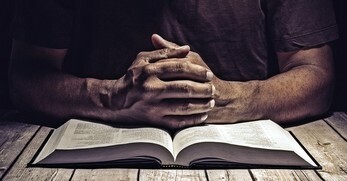 "Suddenly needing to be heard, I cried inwardly, 'Lord, will you take care of me? I can do nothing for myself!' . . . I felt I was passing out of darkness into light." The words "only believe" came to him. It was no longer about his own efforts, but God's. "In the midst of failure to believe, I was being helped back to believing." James Cash Penney (yes, that was his full name) learned about faith and business from his father, who served as the pastor of a small Primitive Baptist church in Hamilton, Missouri, and struggled to make a living off the family farm. At age 8, young Jim was told he would have to start buying his own clothes and earning his own money. Life was tough, his father said, and success only came through hard work and long hours. But things would turn out all right, he was told, if he just followed the Golden Rule, treating others with fairness and respect. But things weren't working out so well for the elder Penney. He strongly urged his church to start a Sunday school, and that was an unpopular position there. As a result, the church dismissed him. That experience soured young Jim on the organized church. His faith would remain a personal thing most of his life. As a teenager, J. C. Penney worked on surrounding farms growing watermelons and feeding pigs. Shortly after Jim graduated from high school, his father, dying of tuberculosis, asked a friend to give his boy a steady job. So J. M. Hale, who owned a dry goods store in Hamilton, agreed to hire Jim at a salary of $2.27 a month. The young man worked hard as a clerk and learned all he could about the business. He seemed to have a knack for merchandising. Within two years, his pay increased twelve-fold. Then came stunning news from his doctor. The TB that had claimed his father's life was now threatening him. The best thing for him was to move to a drier climate. So he moved to Colorado, buying a butcher shop in Longmont. That business hit hard times when he refused to give free liquor to his biggest client. Then two significant things happened to J. C. Penney. He met a man who got him back into the dry goods business, and he met a woman who stole his heart. The business, called "The Golden Rule Store," gave him an exciting new commercial concept. The woman, named Berta, consented to marry him. Guided by the love of his new wife and the Golden Rule principle, the inspired young businessman began a journey that would take him to undreamed of success. 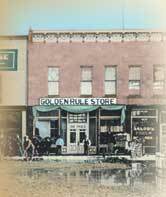 After clerking in one store, he helped a partner start a new store, and eventually, he bought a Golden Rule store of his own in Kemmerer, Wyoming, in 1902. While he recognized that the Golden Rule was a "slogan of good publicity value," his also found it "a poignant link with my father's and my mother's ideals and injunctions." In his business practices, he believed that with a basic aim of making money he could still serve the larger community with fair values and honest dealings. He was just 26 when he bought that first store, in a mining town with a population of about 1,000. The company store (and the 21 saloons in town) offered credit, but Penney's store was cash-only. He felt he served the community better by keeping them from becoming indebted. Within five years, Penney opened two more stores, then three more. There were more than 30 within that first decade. Penney followed a training strategy that allowed managers to become part owners and then purchase their own stores. That's what his bosses had done for him, and now he returned the favor to others. Not only did this contribute to company morale, it allowed for the steady expansion of a chain of stores that held to Penney's original principles. 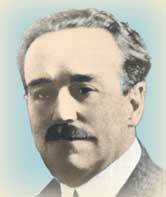 The business incorporated in 1913 as J. C. Penney and Company, Inc. (unscrupulous competitors had begun to use the Golden Rule name), adopting seven business principles of fair pricing and good service. The seventh principle was "To test our every policy, method, and act in this wise: 'Does it square with what is right and just?'" More than a thousand stores were launched in the Roaring Twenties, and the growth even continued during the Depression. But Penney's own fortunes were not so bright. While the company prospered, he lost a bundle that he had invested in banks and real estate. That's what put him in the Michigan sanitarium in 1932. In the years following his epiphany in that hospital chapel, Penney spoke often of that experience. He talked about the mistakes he made in trusting success rather than God. Privately, he mentioned his desire to be baptized and to join a church, but he put off those commitments until 1942 and 1950. His financial fortunes began to be restored in the mid-1930s. As that happened, he renewed his support of various charities, putting millions of dollars into the Penney Retirement Community in Penney Farms, Florida, Christian Herald magazine, and more than 100 other organizations ministering in the United States and around the world. He lived and served until he was 95, frequently sharing a Bible verse he had memorized as a child and claimed as his favorite: "I have trusted in the Lord without wavering. Prove me, O Lord, and try me. Test my heart and my mind. 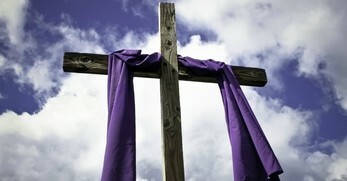 For your steadfast love is before my eyes, and I will walk in faithfulness to you" (Psalms 26:1-2). We are at home here. We are here to stay; we like the country--its people; we believe in selling you good dependable goods on a Small Margin of Profit Only. We will supply you with durable and comfortable wearing apparel cheaper than ever before. You will get BIG VALUES for your money at this store. Let competition say what she will. A comparison of values is all we ask. We have grown--are growing, like no other store in the country. For your own sake we should have your business. . . . Our aim is to sell you Reliable, Staple, Dependable Merchandise at a less price than any other house in the country. Glimpses generally focus on historical figures who have changed the church or affected the world in some overtly Christian way. In that light, some might question our decision to spotlight J. C. Penney. This man was not a religious leader--he didn't even join a church until he was in his 70s--but he was a business leader. So are we writing about him simply because he was a Christian who happened to be rich and famous? In recent years, we have witnessed a steady stream of corporate executives defrauding their companies and stockholders. Surveys have found our nation's business schools at a loss to find an adequate philosophical basis on which to teach business ethics. In such a climate, the Biblical outlook and principles of J. C. Penney are a breath of fresh air. Though his faith was individualistic, Penney had a strong commitment to Christian principles, and he tried to incorporate these principles in his business. Too many Christians, rich and poor and in between, have separated their spiritual lives from their business lives. In a way, Penney was conducting a grand experiment, testing his hypothesis that the Christian commitment to love others could be played out in one's entire life, including one's daily work. 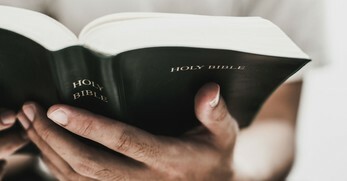 Christian principles will not necessarily make you rich. Sometimes they may make you poor. But they need to be lived out in every aspect of life. 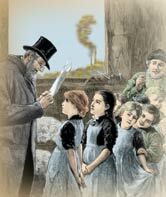 This issue was based largely on the book The Spiritual Journey of J. C. Penney, by Dr. Orlando L. Tibbetts, published by Rutledge Books (1-800-278-8533 or www.rutledgebooks.com).